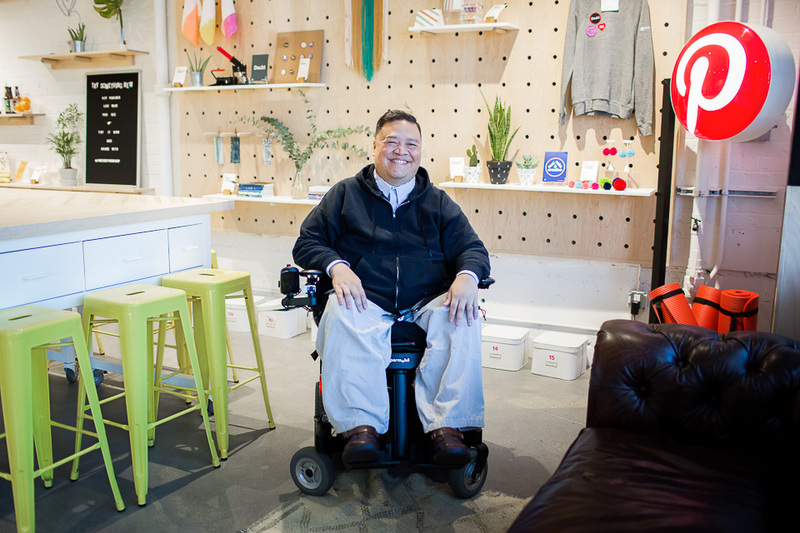 The Toyota Mobility Foundation has launched a $4 million dollar global challenge to change the lives of people with lower-limb paralysis, culminating in the unveiling of the winners in Tokyo in 2020. 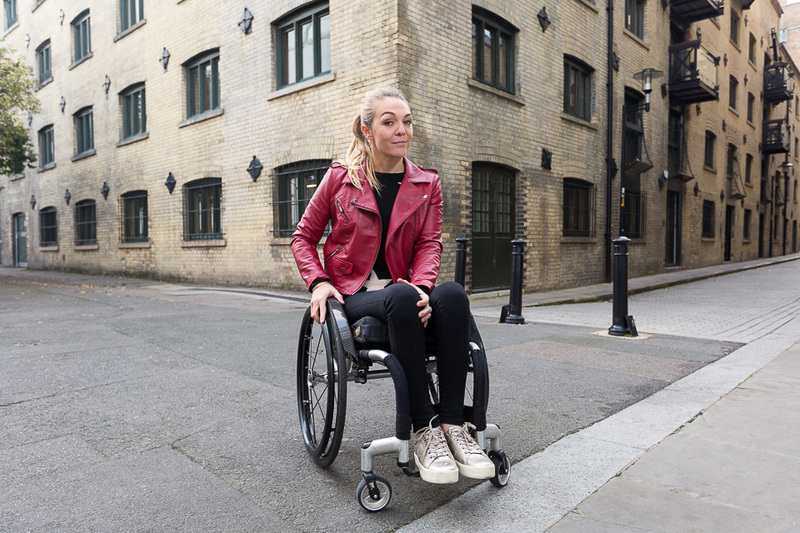 The competition is is looking for teams around the world - including startups - to create game-changing technology that will help radically improve the mobility and independence of people with paralysis. The mobility solutions of the future could include anything from exoskeletons to artificial intelligence and machine learning, from cloud computing to batteries. Artist Yinka Shonibare MBE, photographed at his studio in Dalston. He is perhaps best known for his 1:30 scale model, Nelson's Ship in a Bottle, which occupied Trafalgar Square's fourth plinth for two years in 2010. 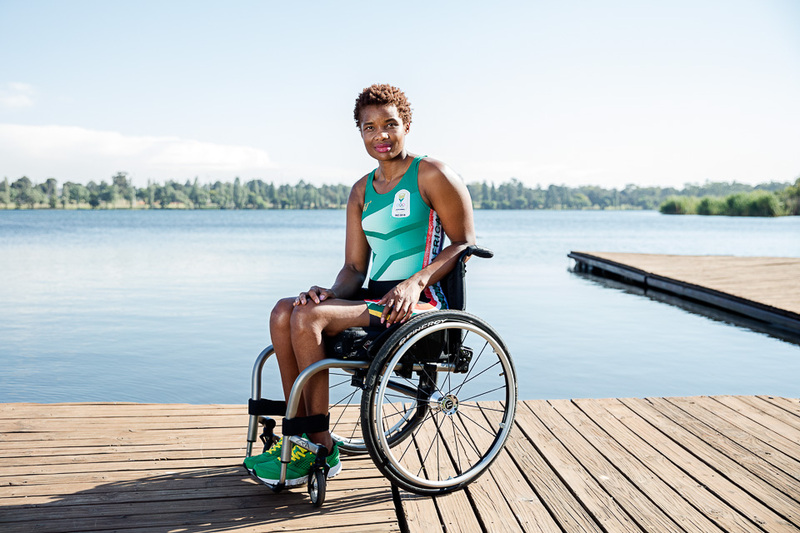 To raise awareness of the competition, volunteers from around the world (including athletes, presenters, scientists and artists) with lower-limb paralysis acted as spokespeople. I was commissioned to source, commission and liaise with photographers from various countries and create a brief in order to produce a stylistically consistent set of portraits. I was also to photograph the two London representatives, Yinka Shonibare and Sophie Morgan. Finding the photographers began with asking for recommendations and referrals, googling, searching agencies and skimming databases, and browsing scores of websites to find people with a roughly similar approach and portfolio. Narrowing them down based on their availability at short notice and, of course, budget, I presented these to the client for the final decision. Dealing with my own, separate commissions alongside dealing with correspondence from various time zones meant late nights and early mornings, as well as lengthy, rather chaotic spreadsheets - something I've never had to deal with. And lots of coffee. Preethi Srinivasan (founder of Soulfree) photographed near Bangalore, India by Boban James (www.bobanjames.com). In a nutshell, the brief was to provide two portraits of each person: one full-length, wide shot to show their environment, locating them within their country or region, otherwise at a place which might suggest their profession or background; the other was to be a closer crop, with the emphasis on them and their expression (positive, challenging etc.) at, ideally, a different location. Lighting was to be simple, minimal to none where possible. To maintain consistency, I did the basic retouch work on the selected RAW files myself which was extremely generous of the photographers to allow. Dr Rory Cooper Ph.D, photographed by Angelo Merendino (www.angelomerendino.com). Dr Cooper is FISA & Paralyzed Veterans of America (PVA) Chair and Distinguished Professor of the Department of Rehabilitation Science & Technology, and professor of Bioengineering, Physical Med & Rehab, and Orthopedic Surgery at the University of Pittsburgh. In the end, and despite best intentions and plans - as is often the case - some of it came down to what the photographers could do on the ground, what they could use to tell the story in the (usually short) time available from whatever relevant/photogenic locations they had in the vicinity. Mostly the time and location were dictated by the busy schedules of the volunteers and photographers, rather than by the best light or ideal spot. But you wouldn't know! - I think they did a superb job, and the launch was a great success. Paralympian rower Sandra Khumalo at Victoria Lake Rowing Club in Germiston, Johannesburg. Photographed by Ilan Godfrey (www.ilangodfrey.com). Presenter, reporter, artist and model Sophie Morgan, photographed near Tower Bridge, London.